The 19th part in the GINZA×CSR series introduces Sapporo Lion, the company that runs the Ginza Lion beer hall as one of its many establishments. Sapporo Lion built Japan’s beer hall culture and formed its cultural manifestation of “music beer halls.” It also provides a place for budding classical musicians to take to the stage. Today, we spoke with Reika Nishimura from the Business Strategy Department. ─ Ginza Lion is an extremely familiar presence in Ginza. In 1899, the Ebisu Beer Hall that was the inaugural form of our company established 116 years ago opened in Ginza 8-Chome as Japan’s first beer hall. The Beer Hall Lion Ginza on 7-Chome opened as its successor. Last year, it celebrated its 80th anniversary, as Japan’s oldest beer hall. All shops in Ginza are supported by their regulars. For example, when a new manager starts at the Ginza 7-Chome beer hall, there are dependable customers who tell them, “I have been coming here since before you were born, so I know more about this place than you do — if there’s anything you want to know, ask me” (laughs). ─ So it developed together with the Ginza district and its customers. In addition to providing safe and reliable food and drinks and pleasant service, I think that continuing to maintain a charming atmosphere that customers will continue to like even after a long time also builds Ginza’s appeal. We also value connections with the local community, for example by having staff at each branch participate in the biannual Ginza-dori cleaning. The Head Office in Hatchobori cleans the surrounding area once a month starting early in the morning. Even though participation is voluntary, as much as 40% of its staff come out each time. ─ What are some initiatives Ginza Lion carries out to improve the environment? Some branches have contractors pick up food waste to be reused as fertilizer. Even before that, when updating menus, we think up delicious dishes we can provide and adjust the volumes to be more appropriate, so that customers will eat everything on their plates. ─ So, first and foremost, it is important to reduce the burden on the environment and community in your actual business. In 2011, we opened a Tokyo area logistics center in Atsugi. Without the Tokyo area logistics center, each supplier would bring the goods directly to the branches. For example, about 45 trucks on average were parking behind the Ginza Lion Building each day to bring food and supplies. Now, this is only one delivery, and it takes place late at night, which has relieved congestion on the surrounding streets. The coming and going of trucks was also a large burden on the environment, so the establishment of a Tokyo area logistics center has helped cut CO2 emissions. ─ I understand that Ginza Lion also fosters developing performers. The Music Beer Plaza Lion Ginza on the fifth floor of the Ginza Lion Building adds a 1,080 yen music cover charge (including tax) to each person’s meal and holds four performances a day, mainly of classical music, but also including German beer songs, Opera, canzones, and other music, for customers to enjoy. Most of the performers belong to a music organization, such as the Fujiwara Opera Chorus Group or Tokyo Nikikai Opera Foundation, but we also have some budding performers take to the stage. We give opportunities to these performers who do not often get the chance to go on stage, in order to broaden the performer base of classical music in Japan. ─ Have many performers launched careers here? Since opening in 1988, over 500 performers have stood on its stage. While some of them have been from famous music organizations, performers are carefully selected through auditions to find the best talent to justify having customers paying a music cover charge even for budding performers who are not yet established. First we have the customers become familiar with the performers, then we have them announce where else they are performing if they are also performing on other stages. ─ You hold periodic charity concerts as well? 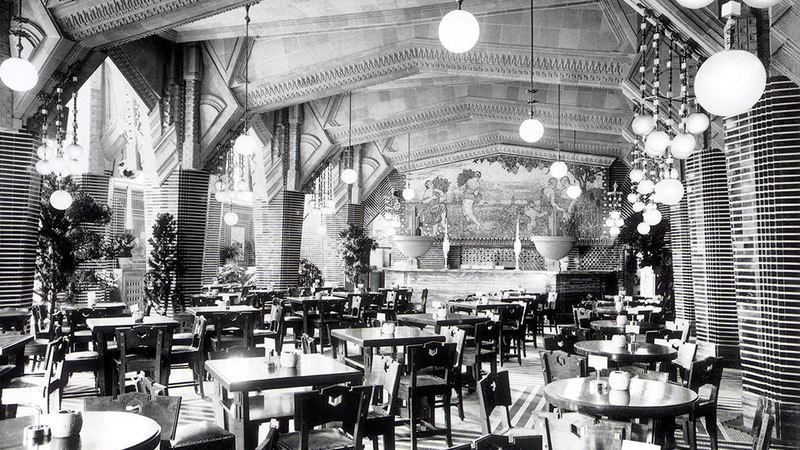 It just so happens that the beer hall first opened on March 11, 1988. Also because of this coincidence, we thought it would be good to carry out some sort of project to aid in reconstruction of the damage from the Great East Japan Earthquake, and began holding charity concerts once every other month. The funds from the music cover charge collected for charity concerts and donations from customers are donated, for example to a group that sends pianos to disaster-stricken areas in Sendai or for buying rice cookers for soup kitchens in temporary housing, or used to send performers to areas destroyed in the disaster. To date, we have collected donations of 2,605,024 yen from 14 concerts. ─ The power of music is exceptional. Last November, performers who belong to Ginza Lion voluntarily planned and carried out charity concerts in disaster-stricken areas. Because of certain connections, they performed in Kamaishi and Otsuchi-cho in Iwate Prefecture and in Natori in Miyagi Prefecture. They performed at places like community centers, and as many as 100 to 200 people came to each venue. Some places affected by the disaster have had many events carried out, but the places where these concerts were held had previously had hardly any such events. Some people in the audience were grasping hands and crying with joy. We were really glad these concerts were held. ─ What areas do you plan on focusing on for your CSR activities? CSR activities have come to receive very strong focus from society. In particular, activities to ensure compliance are the bare minimum required to maintain corporate value. For example, two years ago, “part-timer terrorism” became a social problem where part-time staff began posting photos of pranks performed at shops on social networks. A single prank of this sort can completely destroy the trust that took years to build. Ginza Lion focuses on ensuring compliance, not only for food safety, but also in forming harassment-free workplaces, thorough protection of information, and proper alcohol consumption protocol, for example. ─ It must be difficult to get those messages through to staff of widely varying ages from high school and up at workplaces that are physically separate from your office. Do you use any special techniques? We could distribute thick pamphlets, but nobody has the time to read them when busy at work. Instead, we narrow it down to the most important messages each month, and make posters with four-frame comic strips for staff to casually enjoy. This way, they can have a quick look at the poster during their break, and are more accepting of even serious content. It is the staff on-site with direct contact with customers who must understand our philosophies and implement them in their daily dealings with customers and coworkers to create a good environment at the beer halls. We will continue devising techniques to ensure this happens. Joined Sapporo Lion in 2005. After working for three years at the Gastro-Pub Coopers Shiodome City Center branch (now closed), joined the Head Office Business Strategy Department in 2008. Currently in charge of newspaper and TV interviews, creating press releases, and other outside publicity work, creating internal magazines to introduce company initiatives and other internal publicity work, and education on CSR and compliance. Alterna consultant Offered services in marketing, communication, business strategy and new business development activities for foreign-affiliated IT companies, advertising agencies, and public relations firms. After going independent in 2008, Sugiyama now participates in educational projects for solving social challenges, assists cooperative alliances between companies and NPOs, and offers consulting for CSR activities and practical assistance.